Kimmy invited me to her holiday cookie exchange today. I don’t really love Christmas (please don’t throw roasted chestnuts and mistletoe at me), so the thought of making Christmas-tree-shaped cookies and decorating them made me want to crawl into bed and take a nap. 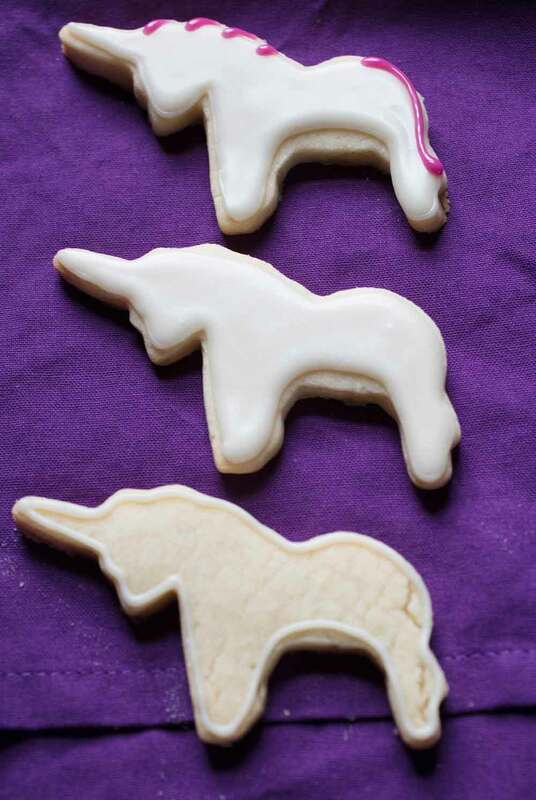 These unicorn cookies are probably the closest I’ll ever get to making holiday cookies. Nothing says Christmas like unicorns, am I right? 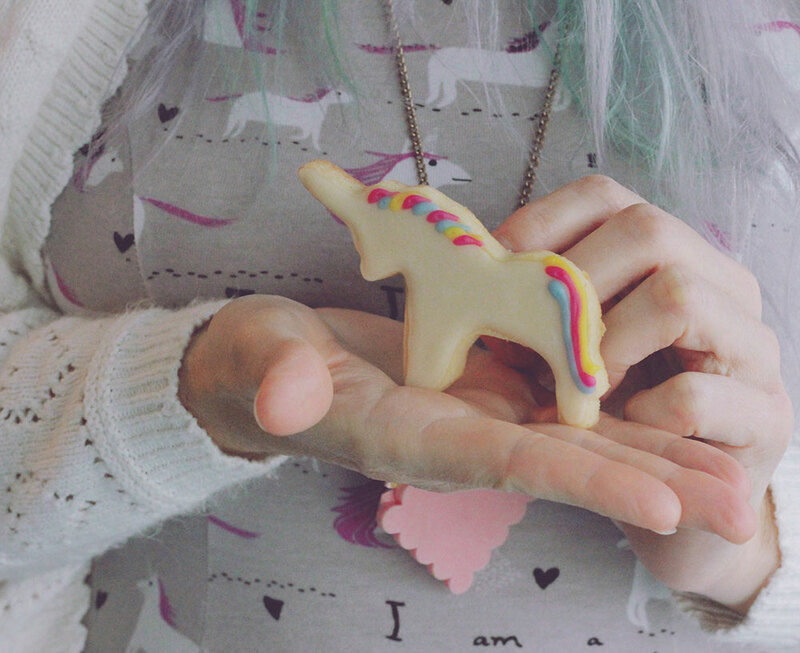 I even dressed to match my cookie. How’s that for holiday spirit? 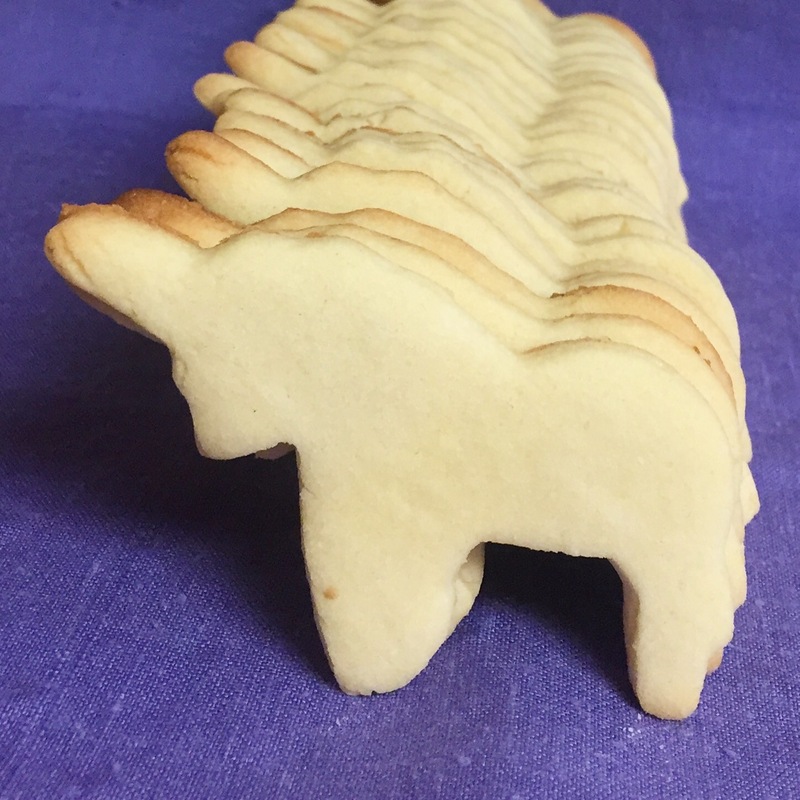 This recipe makes ~30 cookies. Buy the cookie dough instead of making your own. Eat Pastry and Hampton Creek both sell vegan cookie dough. Mix together the sugar and earth balance in a stand mixer using the paddle attachment. Sift the flour and baking powder into a large bowl, whisk, and set aside. Prepare the egg replacer according to the directions on the box and add it to the sugar and earth balance, mixing after the addition. Add the vanilla extract to the mixing bowl and mix again. Add the flour to the mixing bowl, half at a time, mixing in between additions. Scrape the sides (and bottom) with a spatula, and remix. Preheat the oven to 350°. Cover 2 baking sheets with parchment paper. Roll some of the dough on a floured surface, with a floured rolling pin to ¼” thickness. 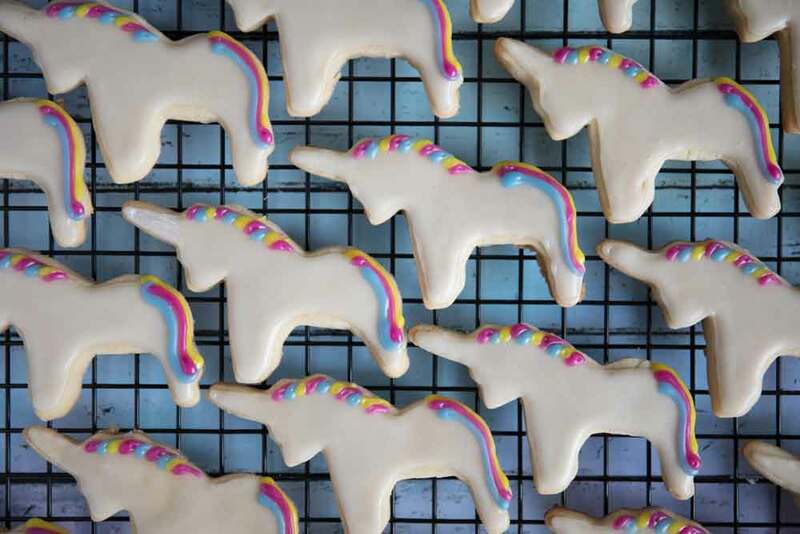 Cut out unicorn shapes, dipping the unicorn cookie cutter into flour in between each cut. 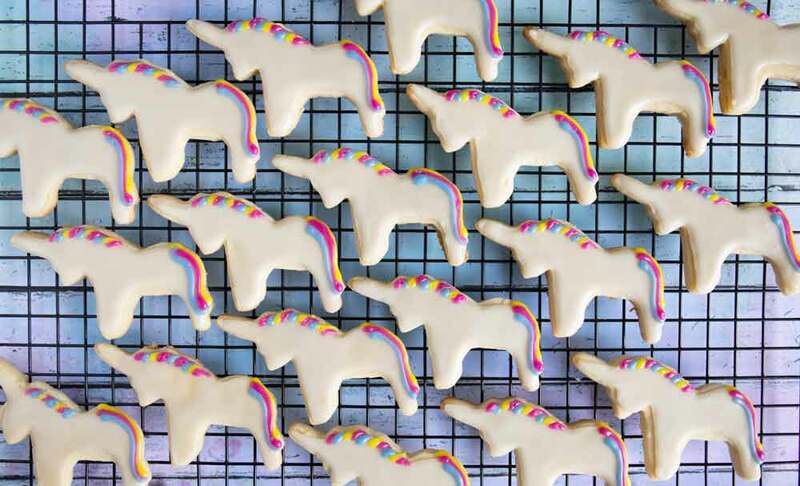 Place the unicorns on the parchment-lined baking sheets. Freeze each tray of cookies once they’re filled for 5-10 minutes (or the amount of time it takes you to fill the next tray). Bake in a 350º oven for 10 minutes. Remove tray from the oven and let sit until cookies have cooled. Repeat until all the dough has been used up. Sift the powdered sugar into the bowl of a kitchen aid stand mixer (or you can use a handheld mixer). Add half of the non-dairy milk and 2 tablespoons of the corn syrup and mix using the whisk attachment. Start on a low speed (unless you like the look of yourself covered in powdered sugar) and increase speed as the ingredients start to combine. Scrape the sides and bottom with a spatula and then mix again. Add non-dairy milk teaspoon by teaspoon, mixing constantly, until you get a consistency thin enough to pipe. Transfer 1-2 ounces of icing to a squeeze bottle with a narrow opening at the top (or to a piping bag fitted with round tip #1). Trace the outline of all 30 cookies using this squeeze bottle of white icing. Transfer 9 tablespoons of icing to a separate bowl and set aside. Add more non-dairy milk to the remaining white icing and mix again. You want a thinner consistency this time to fill in the cookie. Transfer the rest of the icing (from the mixing bowl, not the separate bowl) to a squeeze bottle with a wider opening at the top. An old agave or mustard bottle works well. Squeeze the thinner icing onto the cookies that have already been outlined. I use a drawing method, like I’m coloring with the bottle instead of a crayon. Before moving to the next cookie, use a toothpick to help fill any holes you may have. Continue with the rest of the cookies. Set 3 small bowls and 3 small spoons out. Add ⅓ package of Color Kitchen food coloring to each bowl. Add a teaspoon of corn syrup to each bowl. Use the spoons to mix the colored powder with the corn syrup, making sure to keep each spoon in its color (don’t let it mingle with the other bowls). 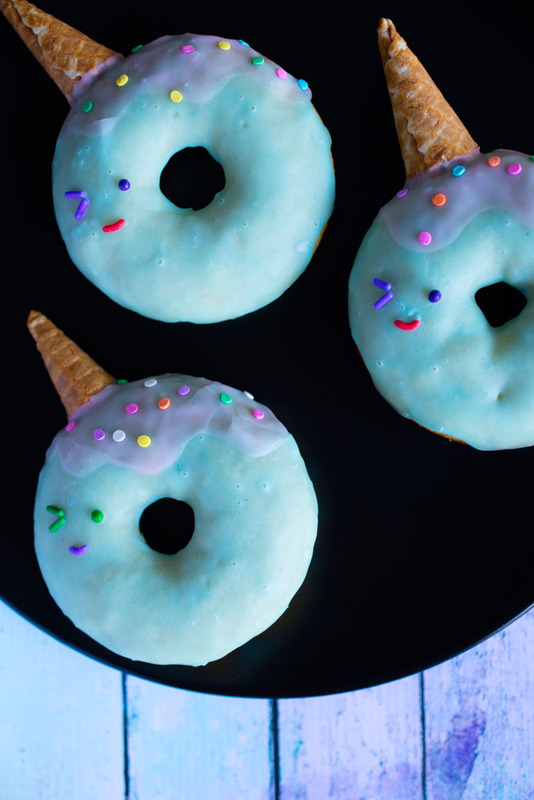 Transfer 3 tablespoons of icing to each of the small bowls, using the spoon to mix the icing with the color. If it’s too thick to mix smoothly, add 1-2 drops of non-dairy milk to each bowl. 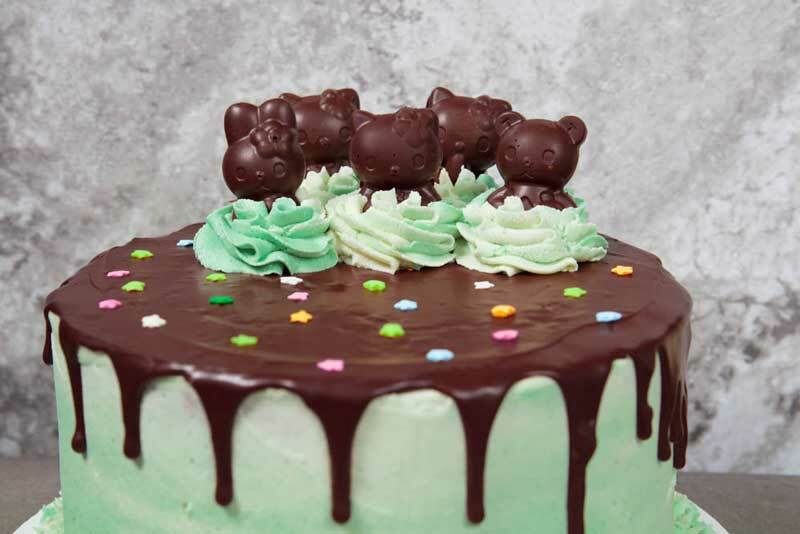 Transfer colored icing to a squeeze bottle with a narrow opening at the top or to a piping bag fitted with a round tip #1. 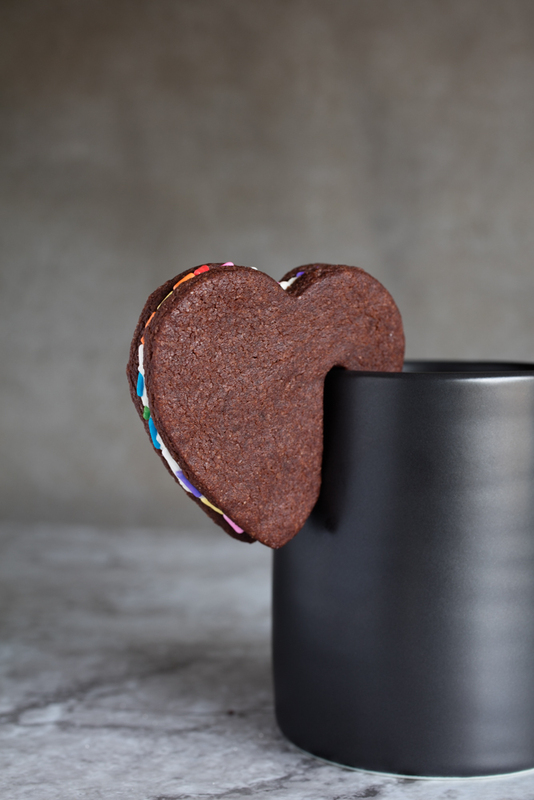 Draw the details onto the cookies, and let them dry for around 5 hours before trying to stack them.